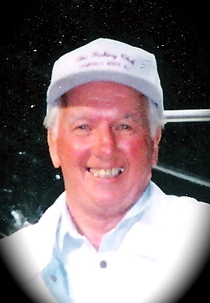 It is with heavy hearts that we announce the passing of Theodore Joseph Kryczka, formerly of Coleman, Alberta, who left this world on November 8, 2014 at the age of 86 years. Ted was born on December 4, 1927 in Zabawa, Poland. He immigrated to Canada in 1934 and settled in the Crowsnest Pass, Alberta. Along with his siblings, he was raised to appreciate the benefits of a good education, to work hard to achieve your goals and to love and provide for your family. Ted graduated high school in Coleman, AB and later obtained his Bachelor of Education from the University of Alberta in 1952. His passion for teaching led him back to his hometown where he taught at his old high school and then at the Horace Allen School in Coleman where he accepted the position of Vice Principal. In 1954, Ted married the love of his life, Violet Troyanek, in Michel, BC. They were blessed with three children of whom Ted could not be more proud. He worked hard and sacrificed all he had to provide for his precious family and he instilled in them the values he learned throughout his lifetime. Ted also had a passion for sports. In his youth, he played hockey with the Coleman Grands and his talent on the ice earned him an invitation to the NHL’s Chicago Blackhawk’s training camp. He also played on the U of A’s Golden Bears team. He enjoyed curling and coached for several years, was an avid fisherman and golfer and an extreme sports fan. His talents were many but his true calling was his ability to inspire and educate those around him. He mentored many students throughout his years and courageously threw his cap into the political arena as a Town Counselor of Coleman from 1961 to 1978. In 1986, he decided to retire and spend more time with his family. Ted led an active and full life; he cherished his family and his community. He stood up for what he believed in and always did his best. He will be fondly remembered and dearly missed. He is survived by his loving wife, Violet Kryczka of the Crowsnest Pass, AB; his children, Terry (Jane) Kryczka of Cranbrook, BC, Mark (Peggy) Kryczka of Red Deer County, AB and Kathy (Gord Brecht) Draper of Blairmore, AB; his grandchildren, Jeff Kryczka, Lauren Kryczka, Kyle Kryczka, Kirstin Draper and Cole Draper; numerous nieces, nephews, extended family; as well as the many friends he has made throughout his lifetime. He was predeceased by his father, Joseph Kryczka in 1971; his mother, Maria Kryczka (nee: Zelaro) in 1999; and his brothers, Joseph and Adam. A Celebration of Life will be held on Saturday, November 15, 2014 at the Coleman Curling Club Lounge from 2 – 5 pm. For more information, please contact Fantin's Funeral Chapel at (403) 562-8555.